Two Hofstra students are among ten collegiate entrepreneurs who won the Long Island regionals of the New York State Business Plan Competition and will compete for $500,000 in seed money at the statewide contest later this month. A third student was named an alternate. 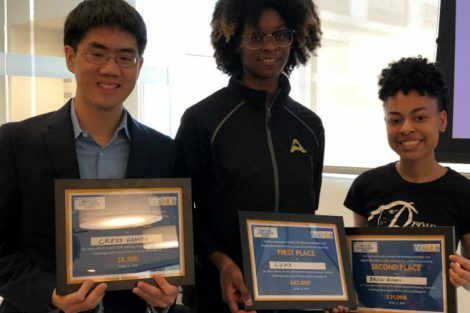 All three students also are finalists in the Hofstra CPXi Venture Challenge, a $42,000 entrepreneurship competition on April 21 at the Hofstra Northwell School of Medicine. The graduate student finalists will compete at 4 p.m., and the undergraduate finalists at 6 p.m. Winners will be announced at 8 p.m. 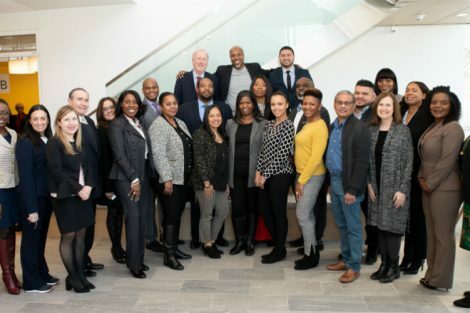 The students were mentored under the auspices of Hofstra’s new Center for Entrepreneurship. 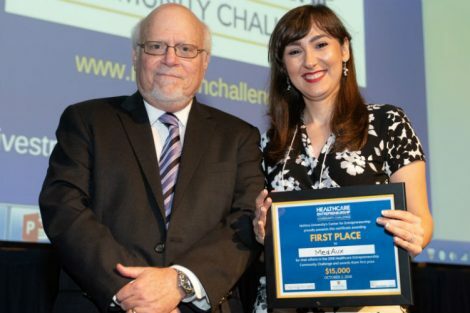 Hofstra Northwell School of Medicine student Todd Goldstein, who won first place and $6,000 in the regional biotech category for Mano-Matic, a 3D-printed bionic hand. Sophomore business student Ron Kort, who won second place and $1,000 in the products and services category for his adaptive respiratory machine, called ClearWay. Brittany Schreiber, a senior marketing and management major, created a time management app for young people. She also won $1,000 and will be an alternate to the state competition. All three will attend the April 29 finals of the NYS Business Plan Competition in Albany, NY, where more than 500 students from 75 colleges and universities will pitch their ideas. Seven Hofstra teams competed in the Long Island regional competition – the most of any local school. 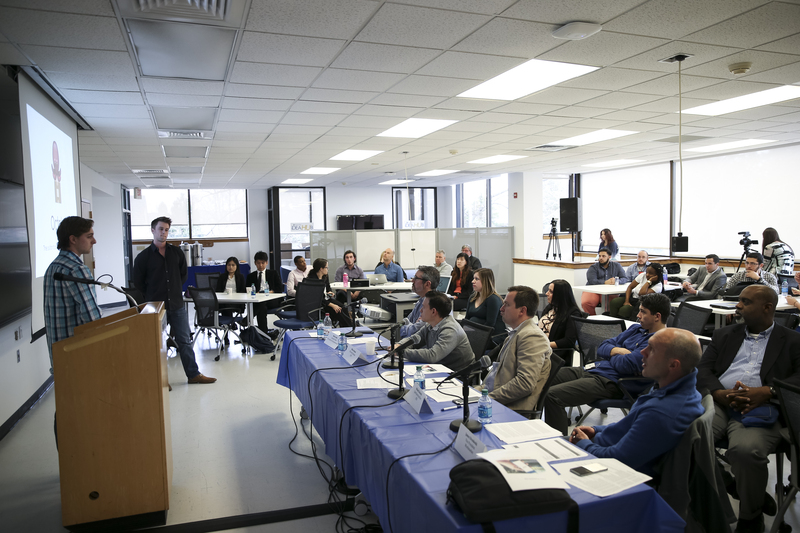 The seven Hofstra teams also are finalists in the Hofstra CPXi Venture Challenge.